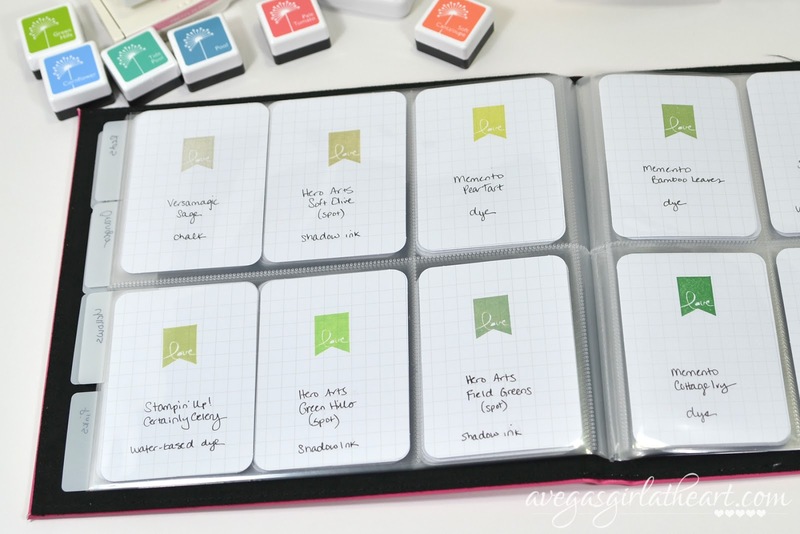 I worked on a fun little organizational project this weekend - an ink swatch book. 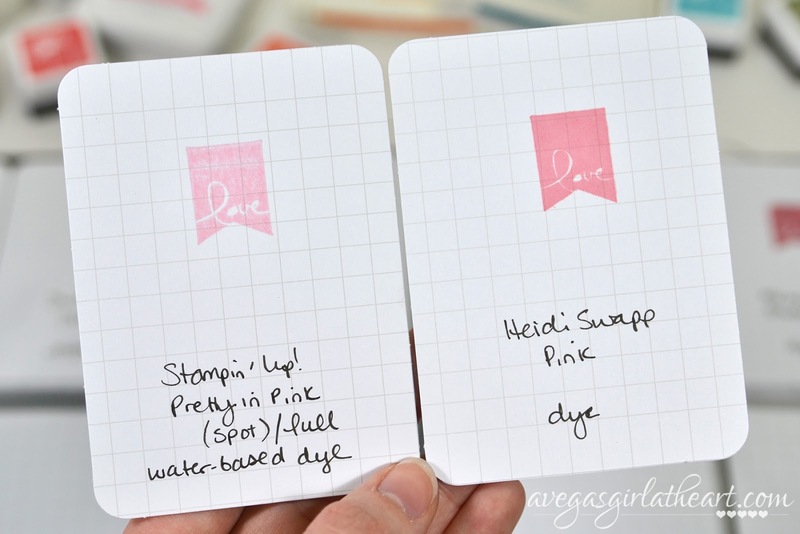 I'd previously kept all of my ink colors stamped on tags on a binder ring, but my supply of inks has grown and it became a little difficult to navigate through the tags. 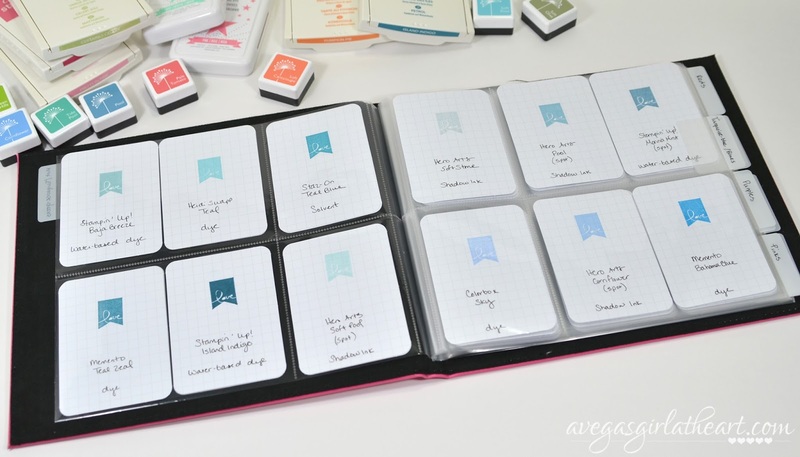 I had seen Jennifer McGuire's awesome ink swatch book on her blog and thought this would be a good way for me to organize my inks. 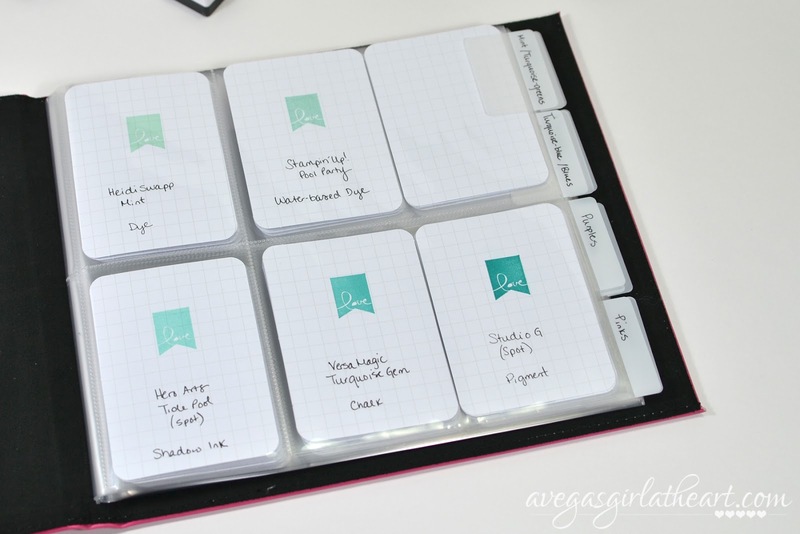 However, I did not want to have to buy more page protectors for the 2x2 squares. 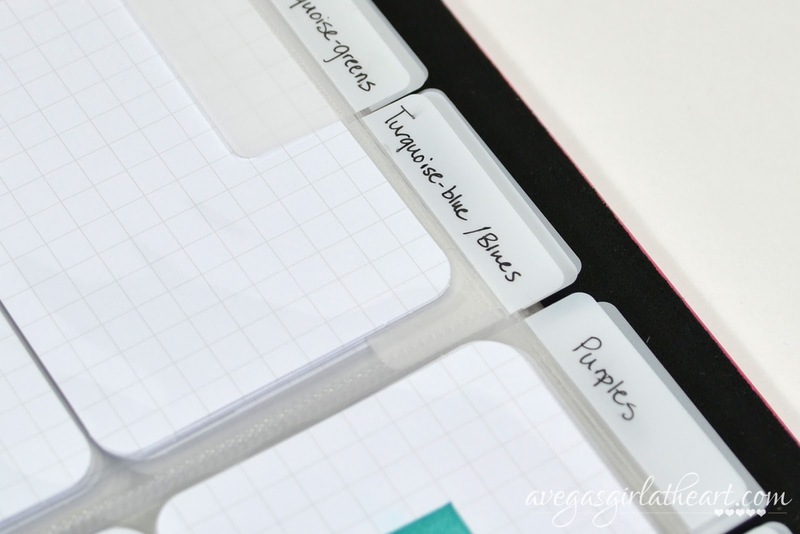 I looked around my room and realized I had several of the Becky Higgins Project Life mini albums that were currently unused, so I chose the brightest color I had and went to work. 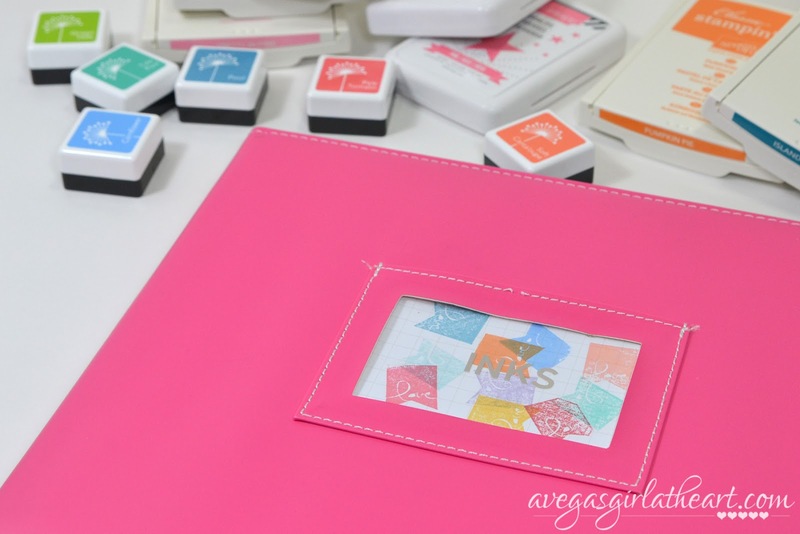 I used the 3x4 Becky Higgins grid cards (of which I have a few hundred) and an adorable banner stamp from the Stampin' Up! 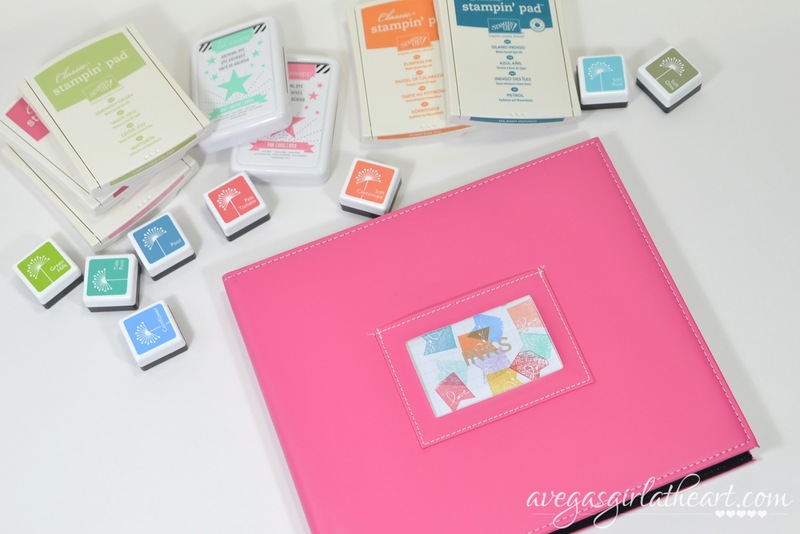 Sale-A-Bration Banner Blast stamp set. (No longer available but click the link to view it). 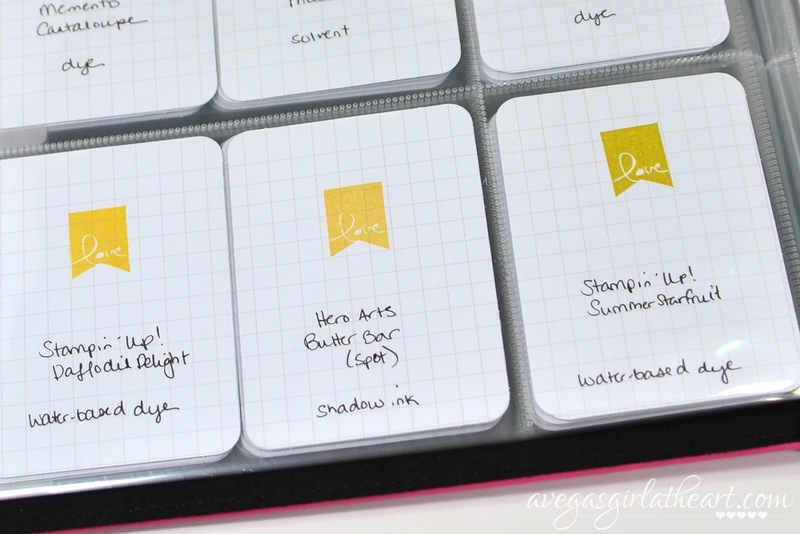 I stamped each color on a grid card, and organized them by color family. I love that I can clearly see the differences between each ink. And there was plenty of room on the card to write the brand, name, and type of ink each one was. I filled up (minus a few spots I left blank) half the album, so I do have plenty of room to grow. However after seeing how many inks I really have...I'm not sure I'll be buying too many more anytime soon. I'm just very happy I was able to get my inks organized without spending any more money on the album/pages/cards. 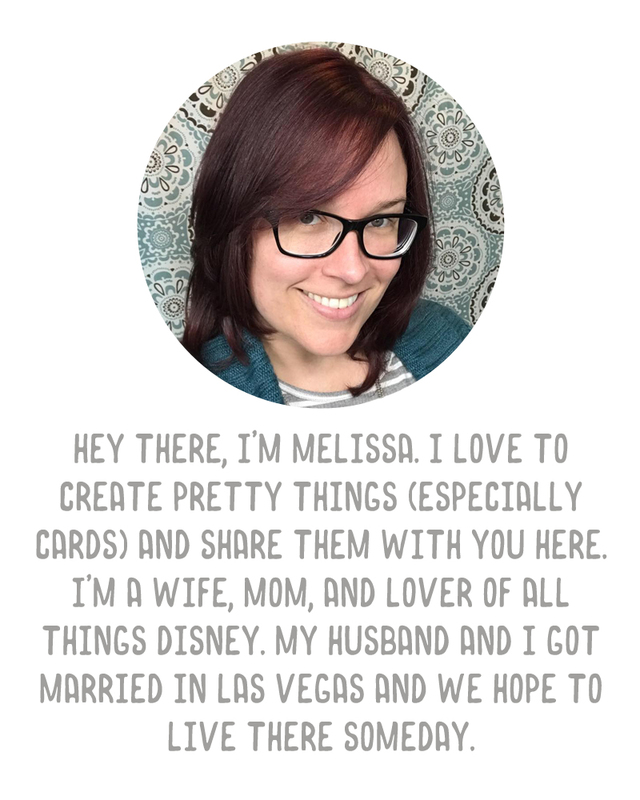 Oh, and that little card on the cover was my tester card. I thought it looked cool with all the different inks so I just added some Project Life alpha stickers on top and slipped it into the spot. This is a neat idea ! That's a great idea! :) I have all mine separated by manufacturer, and have been using mainly SU inks for awhile now. I made tags on a ring to compare colors of those, but yours are very cool!